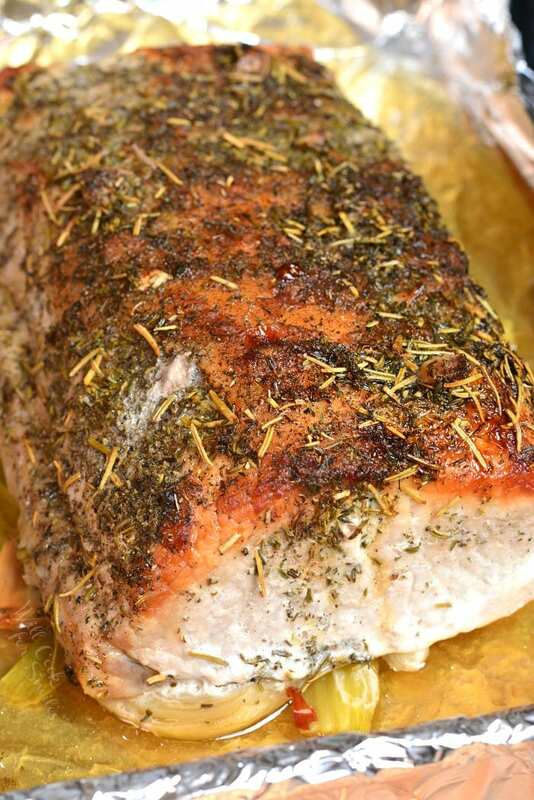 Easy way of cooking Pork Loin is to simply roast it in the oven with garlic and herbs. 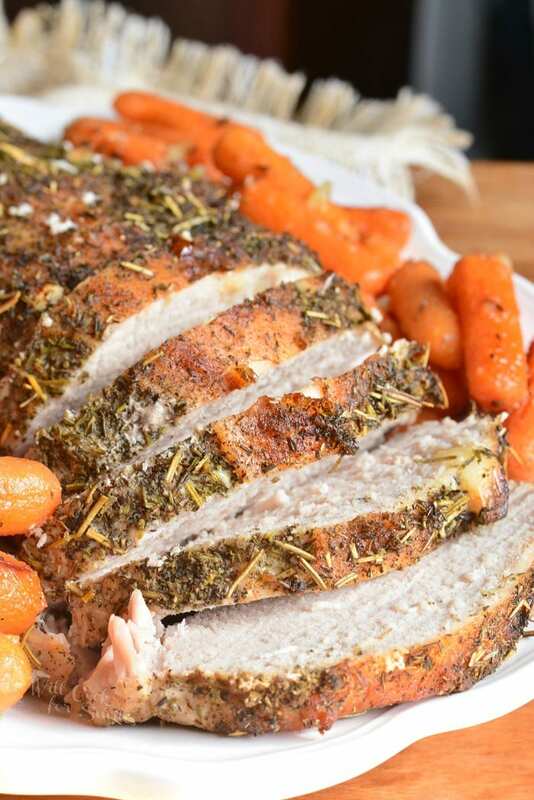 This juicy and tender pork loin is baked on a bed of veggies for extra flavor and moisture, stuffed with garlic cloves, and rubbed with an herb mixture. 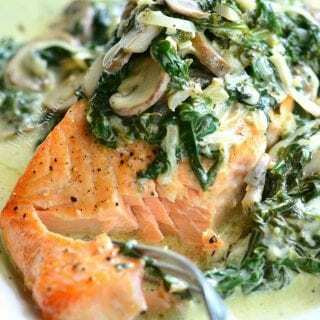 Juices that accumulated from roasting pork loin can be used to make delicious gravy for the pork. Many people mistake pork loin and pork tenderloin and I have to confess, I was one of them. I used to think that pork loin was just another word for pork tenderloin but it is actually a completely different cut. 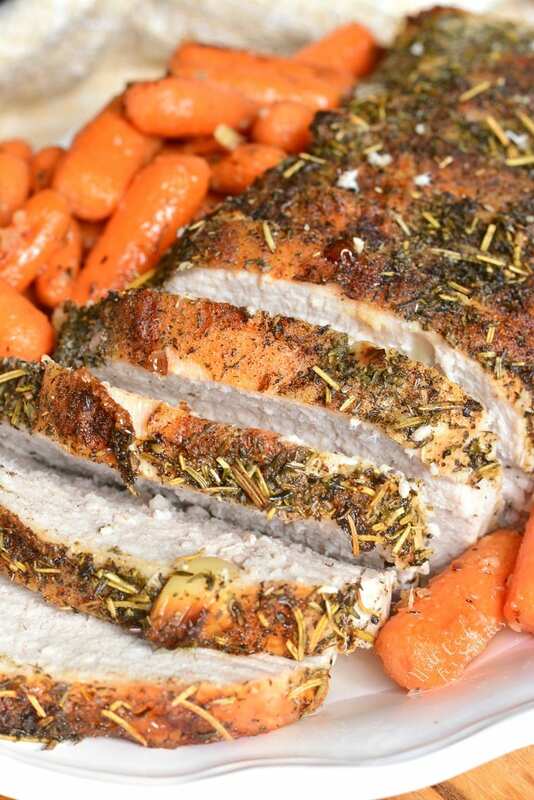 Pork tenderloin is the long, thin muscle that comes from the back of the animal and runs along the backbone. It’s tender and soft. Pork loin is much wider and thicker. Full size pork tenderloin can be as big as 10 pounds and it’s wide enough to cut into chops. And average pork loin cut found in stores is actually about 3-4 pounds. If you are feeding a bigger crowd, you can always ask the butcher to cut you a larger sized pork. To estimate how much pork you will need just average 1/2 pound per person. So a 4 pound pork loin should feed 8 people. Pork loin is not as tender of a cut as pork tenderloin so it cooks better roasted on lower temperature for longer period of time. After pork loin reaches the safe temperature, take it out, tent it with foil, and let it rest. To add a little more moisture and flavor to pork loin, I roast it on the bed of some onion, celery, and garlic. 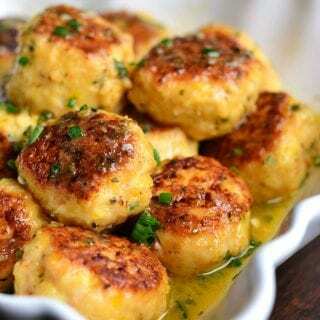 Stuffing garlic cloves right into meat infuses pork with delicious flavor throughout. 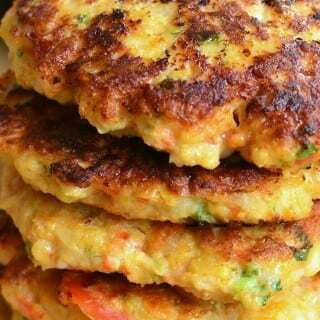 To do that, simply use a small knife to poke holes that are about an inch deep into the meat to create slits throughout the top. Push in small garlic cloves into each slit. 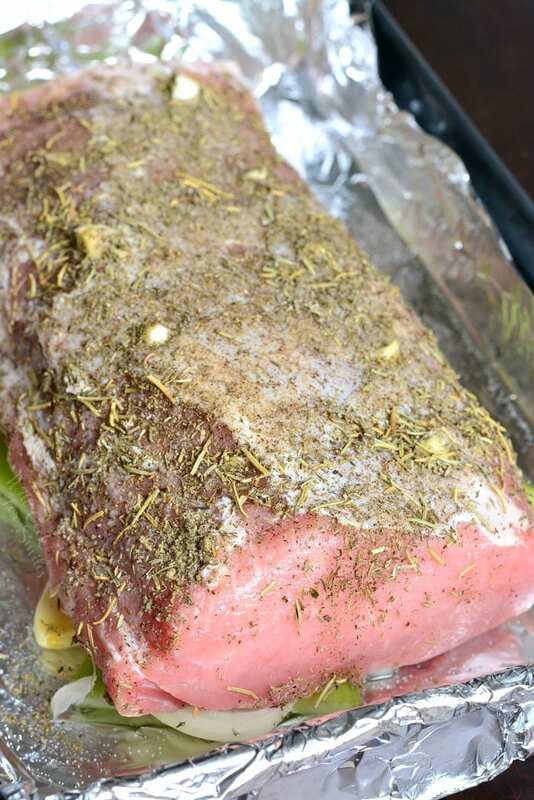 Rub the whole pork loin with a mixture of herbs and seasoning all over, even on the bottom. To make cleaning easier, you can cover roasting pan with foil. Chop onion and celery into large chunks and slice garlic cloves in half. Place them in the bottom of the roasting pan, in a single layer the same size as the pork loin. Place seasoned pork over the veggies, fatty side up. 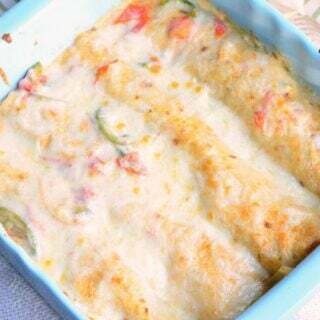 Bake in the oven until internal temperature reaches 145°. 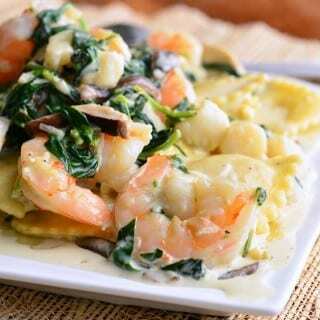 Estimate about 20 minutes of cooking time per pound. Don’t forget to tent cooked pork loin with foil after taking it out of the oven and let it rest for 15-20 minutes. 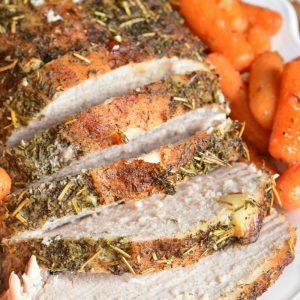 This juicy and tender pork loin is baked on a bed of veggies for extra flavor and moisture, stuffed with garlic cloves, and rubbed with an herb mixture. Preheat oven to 350°. If you wish, cover the roasting pan with foil. Peel and quarter the onions. Cut celery ribs in fours as well. Cut 3 garlic cloves in half, length-wise. Place veggies in the middle of the roasting pan in one single layer, about the same size as the pork loin. 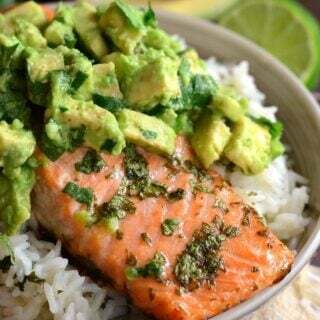 In a small bowl, combine dry herbs, salt, and pepper and mix. Using a small knife, pierce holes in meat in several places over the top. Make holes that are about 1-inch deep. Push garlic into each hole. If garlic cloves are too big, cut them in half length-wise. Rub pork loin with some olive oil and then herb mixture all over, even on the bottom. Place pork fatty side up in the prepared roasting pan, on top of the veggies. Bake until internal temperature reaches 145°. For this 4 pound pork, it will take about 1 hour and 20 minutes. Estimate about 20 minutes per pound but still check internal temperature. Once pork reaches the temperature, take it out and tent it with foil. Let it rest for 15-20 minutes before cutting. *Note: You can use the accumulated juices from roasting pork to make gravy. If not enough juices accumulated, add a little veggie broth.